When sinus congestion and pain become chronic and fail to respond to medical treatment, in-office sinus balloon dilation is a nonsurgical procedure that opens your sinuses and boasts a 97% success rate. 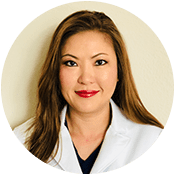 Dr. Kathy Yu-Syken, at OCEANN, proudly offers balloon dilation using two cutting-edge devices that give her the ability to customize your treatment. To learn more about the long-term relief available with in-office sinus balloon dilation, call the office in Huntington Beach, California, or book an appointment online. What is in-office sinus balloon dilation? In-office sinus balloon dilation, or balloon sinuplasty, is a minimally invasive procedure that uses a balloon to open blocked sinuses and improve drainage and breathing. Minimally invasive procedures are performed using specialized tools that access your sinuses through your nose. Since you don’t need an incision, you have less trauma, less pain, and minimal downtime. Which condition receives treatment with in-office sinus balloon dilation? Balloon dilation is specially designed to treat chronic sinusitis, an inflammatory condition affecting your paranasal sinuses. Each sinus contains membranes that produce mucus, which commonly leaves the sinus through a small opening and drains into your nose. Although mucus is a significant part of congestion, it has an essential health function in your nasal passages: It lubricates the nose, preventing it from drying out when you breathe. It also helps filter out dust, bacteria, and other microorganisms. Sinusitis occurs when the membranes lining the sinuses become inflamed. As inflammation blocks the opening into your nose, mucus becomes trapped inside the sinus, which becomes infected. When inflammation and swelling last at least 12 weeks, despite treatment, you have chronic sinusitis. Medical conditions such as the common cold and allergic rhinitis often cause chronic sinusitis. It can also develop when nasal polyps or a deviated septum block the sinus opening. Am I a good candidate for balloon dilation? Which medical devices perform in-office balloon dilation? Dr. Yu-Syken uses two advanced devices to perform in-office balloon dilation, the XprESS™ ENT Dilation System by Entellus Medical and the NuVent™ EM Balloon Sinus Dilation System by Medtronic. The XprESS balloon dilation device performs with optimal visualization using an LED light fiber. Its sleek design allows for gentle navigation through your nose. The end of the device is flexible, so Dr. Yu-Syken can shape and customize it to meet the anatomical design of each patient’s nose. The XprESS also has a ball tip that provides tactile feedback, allowing Dr. Yu-Syken to feel or examine essential tissue. The NuVent device is a fixed, rigid instrument. It’s designed to match the designs and locations of the four different pairs of sinuses. This system combines a 3D image-guided navigation system with the Medtronic computer-assisted surgery system. Using its enhanced navigation, Dr. Yu-Syken can precisely locate tissue surrounding the drainage pathways, then use the instrument to move tissue blocking the drainage pathway gently. How is in-office balloon dilation performed? After giving you a local anesthetic, Dr. Yu-Syken guides the balloon dilation device through your nose to the blocked sinuses. She may use computerized tomography (CT) imaging to ensure the device inserts accurately. Once the device is in the sinus opening, she inflates a balloon in its tip for about five seconds. Pressure from the balloon expands the opening and restructures the shape of the passageway. When Dr. Yu-Syken deflates and removes the balloon, your sinuses stay open. You can breathe normally again, your sinuses drain properly, and your risk of recurring sinusitis will reduce. What are the benefits of in-office sinus balloon dilation? Studies show that balloon dilation produces the same long-term effects as functional endoscopic sinus surgery (FESS), which used to be the only option for opening blocked sinuses. With nonsurgical balloon dilation and surgical FESS, patients stay symptom-free up to two years. Unlike FESS, which involves removing bone and tissue, balloon dilation doesn’t damage or remove tissue. When you undergo balloon dilation, you can be back to work or school in one or two days. Downtime with FESS is five days or longer, depending on the extent of the surgery and how quickly you heal. If you suffer from chronic sinus congestion, pressure, or pain, call Oceann ENT or book an appointment online.